Hoka One One embraces and adds stimulating new dimensions to running. It's fun. It's fast. It's freedom. It's flying. 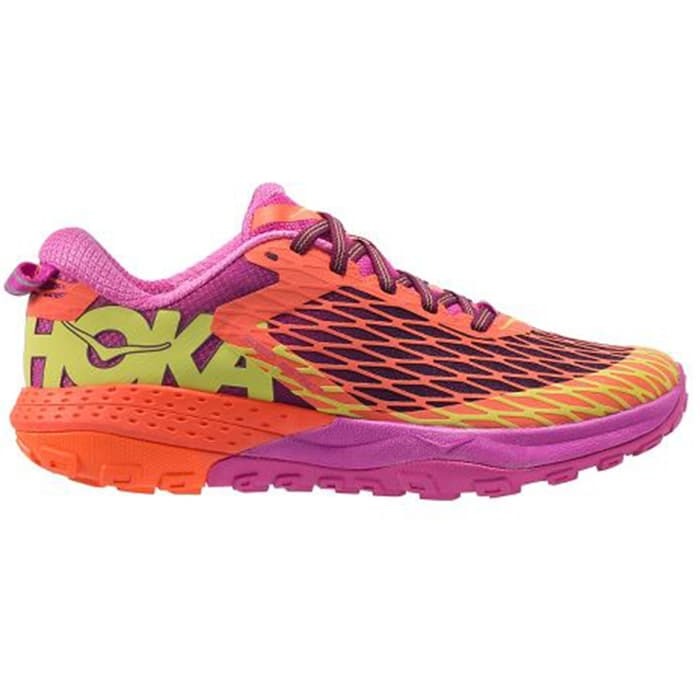 Hoka One One shoes allow your feet to move freely and naturally. Engineered for maximum cushion, comfort, protection and energy return, while still offering lightweight, nimble performance and uninhibited movement. Athletes wearing Hoka One One shoes have garnered multiple podium finishes in some of the world's most famous trail and ultra distances in all over the world. Top American ultra athletes Dave Mackey (winner of the Miwok 100K, American River 100K & more), Karl Meltzer (2012 Masters Trail Runner of the Year, winner of 2012 Run Rabbit Run ultra, and known for running over 2000 miles in Hoka shoes along the Pony Express Route in 2010), and Diana Finkel (2010 & 2011 winner of the Hardrock 100, and 2012 winner of the Jemez 50 Mile Race) all race and train in Hoka shoes. Built to nimbly dance over technical terrain, the SPEED INSTINCT is a lightweight and responsive addition to our lineup. 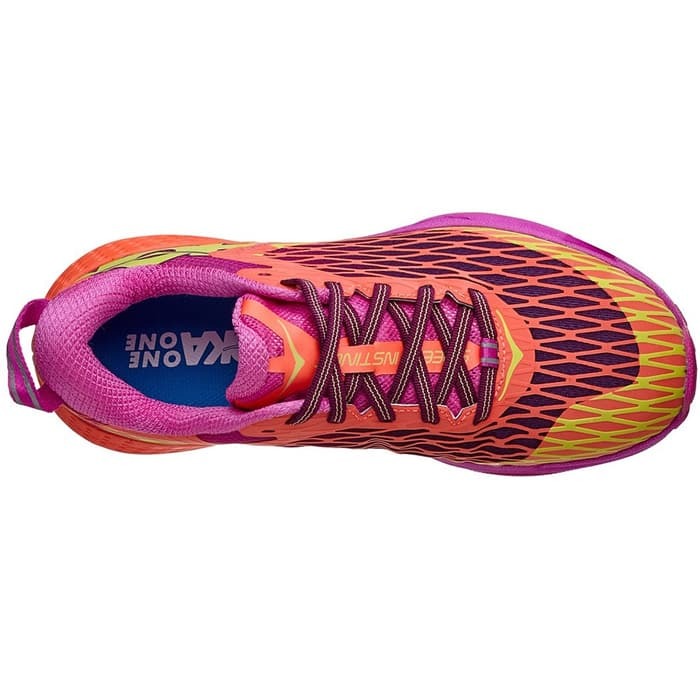 The Speed Instinct is the first trail shoe to utilize HOKA ONE ONE’s PRO2LITE technology, with a soft heel density that transitions into a firmer, more responsive forefoot. 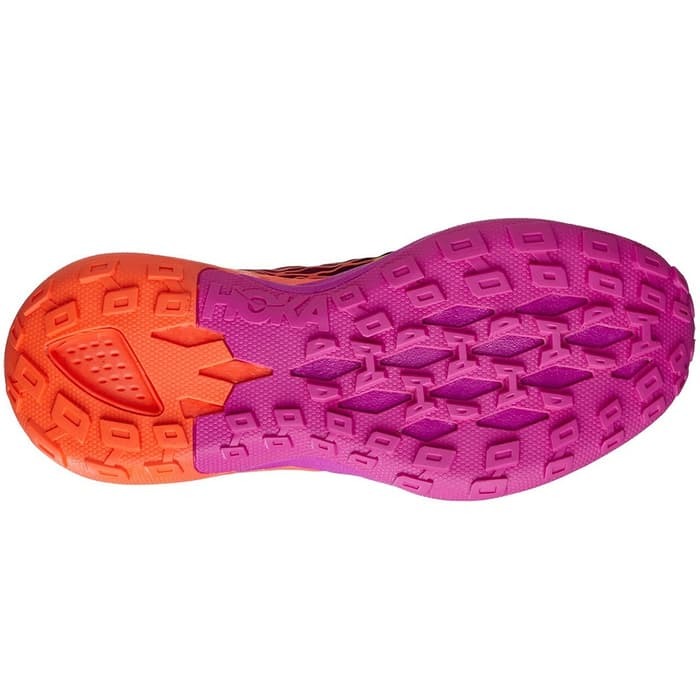 Multi-directional lugs on a durable, full length rubber out-sole provide significant traction no matter your foot placement. This new introduction from HOKA is responsive enough to race up the mountains, and forgiving enough to get down them.